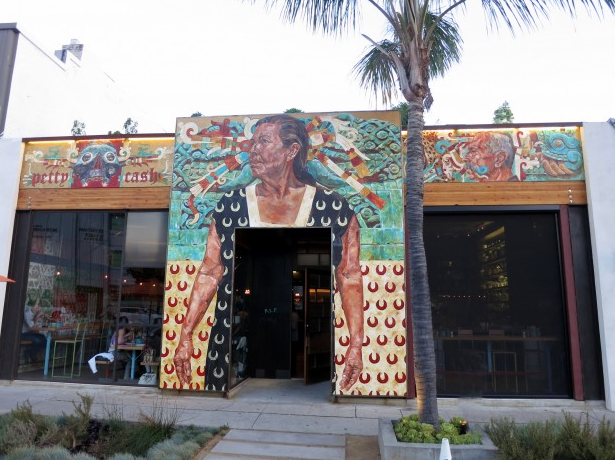 Not that it really matters, but when it comes down to it, there isn’t much that’s authentic about Walter Manzke’s popular taco temple Petty Cash Taqueria on LA’s miracle mile. His chef de cuisine Fabian Gallardo might come from south of the border, but he has actually spent a disproportionate amount of his cooking career in Italian kitchens on the east coast. 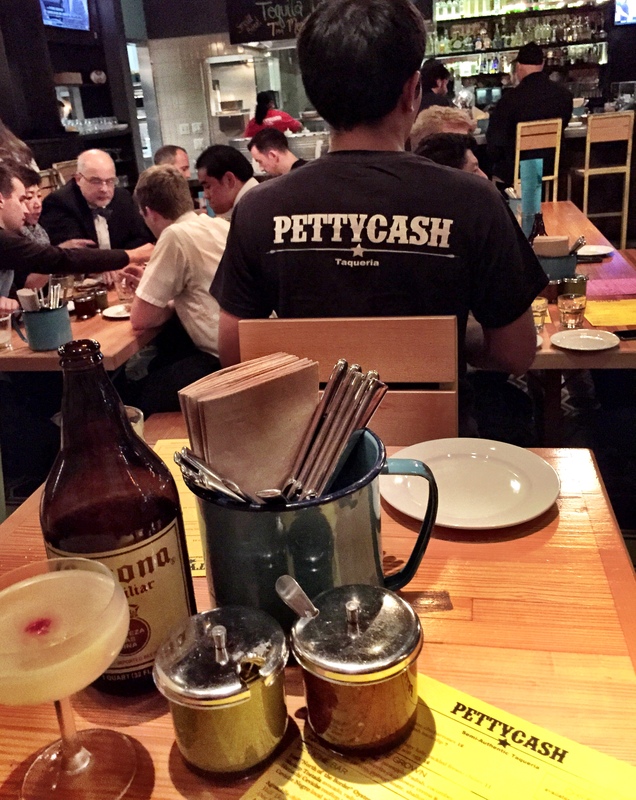 Nor is “Petty Cash” much of a giveaway for the Tijuana inspired cuisine either. (Turns out the name was taken from a band that used to perform cover songs by Tom Petty and Johnny Cash.) And perhaps it’s a bit of an overreach to create a graffiti-covered, East LA-inspired, street-food-meets-street-art crossroads in the middle of ritzy Beverly Blvd. But hey, I have to hand it to them – they have most certainly pulled it off! The casual, bright and airy, bar stool bedecked space feels like a rambunctious communal dining room that feeds off of an effervescent bar. 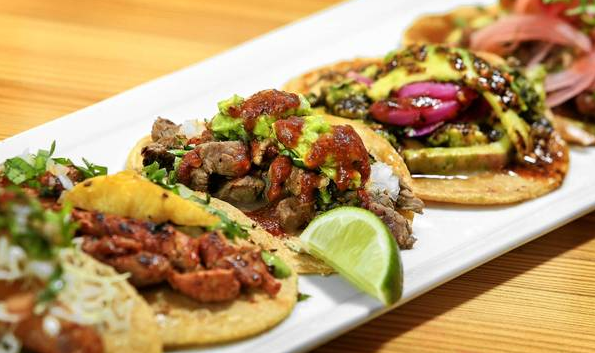 And while a vast majority of the young “hora feliz” crowd might be transient, the buttercup yellow menus offer a myriad reasons to linger way past happy hour. Not surprisingly, the cocktail program is rather impressive, with vertical and horizontal flights of Tequilas and Mezcals seldom seen this far north of Baja, plus some kitchen-inspired combinations using avocado, tomato water and chilies. The Nachos might be legendary, but something referred to as the Bomb.com is an irrefutable runaway hit. Appropriately named by one of the kitchen staff and concocted quite by accident, the bowl of chunky guacamole is generously surrounded by a coliseum of Santa Barbara sea urchin with a flask of (what might look like biodegradable packaging materials but are in fact) the most wonderfully dry, light and crispy Chicharrones (pork rinds) my teeth have ever had the delight of snapping into. 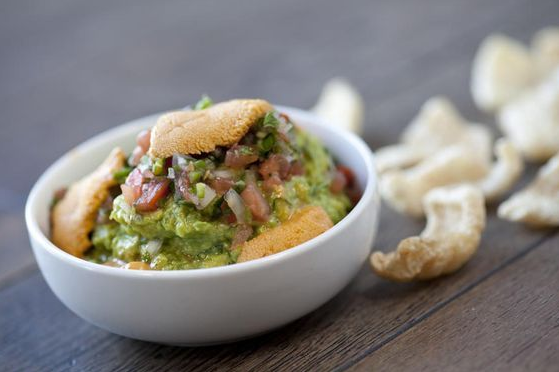 The delicious explosion of a buttery, salty, creamy crunch has elevated my hankering for Guac ‘n Chips like never before. 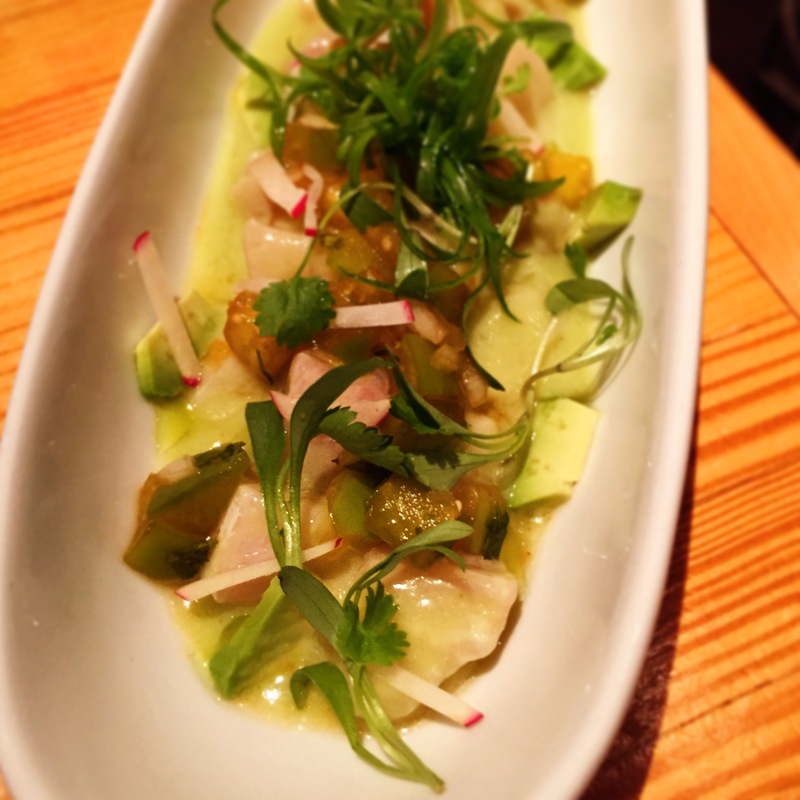 The Ceviche bar offers a “build-your-own” Aguachile, which is a house-made Climato version of the famous marinated seafood cocktail – in addition to a few traditional options, like bright slithers of zesty and refreshing Himachi with lime, tomatillo and avocado. Our server also recommended the newly added (and perhaps ripe for reconsideration) Ceviche salad, which brought back old memories of a real fishing trip, where forkful after forkful yielded nothing more than cabbage and peanuts, and only once in a great while – a tiny reward.